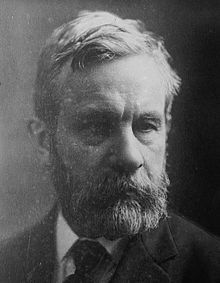 Born near Kill, County Kildare, in 1842, John Devoy would go on to become a man described by the London Times as ‘the most dangerous enemy of this country [Britain] Ireland has produced since Wolfe Tone’. His republican career began when, as a teenager, he met the Young Irelander John Mitchel in France. After a spell in the French Foreign Legion he returned to Ireland, where US Navy veteran William Roantree had been the chief Fenian recruiter within the British Army stationed in Ireland. After P.J. Mahon accidentally compromised the Fenian organisation by losing important documents in Dublin, Roantree was arrested, and James Stephens appointed John Devoy in his stead. A ‘small, intense’ man in his early twenties, Devoy set up headquarters in Peter Curran’s pub on Clare Lane, near Merrion Square in Dublin. He encouraged seriousness and temperance among the Fenians who met there. In October 1865, with an arrest warrant hanging over his head, Devoy met fellow Fenian John Boyle O’Reilly. They expected word from James Stephens of an imminent uprising. O’Reilly’s regiment was stationed at Ireland Bridge Barracks in Dublin – now known as Collins Barracks – and a Fenian-sympathising veterinary surgeon took Devoy to him. Fenian sentries allowed him in. Devoy was impressed by O’Reilly, a muscular, intelligent man of only twenty, who acted as a recruiter for the Fenians in an army where more than thirty percent of soldiers were Irish. After their initial meeting, the two came together almost every day. Devoy encouraged O’Reilly to widen his organisation to other regiments. On 11th November 1865, James Stephens was arrested at his home in Sandymount. Devoy and Captain Thomas J. Kelly, an American soldier, devised a plan to rescue him. Medical orderly John Breslin informed Stephens of the plan and provided Devoy with a soap imprint of the jail key, allowing him to have a copy made. On the 24th of November, Breslin opened the cell and gave Stephens the forged key. Kelly and Devoy waited for Stephens outside, and took him to a safe house. In early 1866, Devoy introduced O’Reilly and others to John McCafferty, a former Confederate cavalry officer in the US Civil War. McCafferty liked to argue that the revolver was more useful than the sword, which provided for some good-natured debate among the Irish. There was a shared confidence that James Stephens would soon be President of an Irish Republic. Devoy was already hiding twenty men of the 87th Regiment who had come to Ireland on Christmas leave from Portsmouth. Soldiers were leaving the army every day in expectation of a Fenian uprising. O’Brien, a sergeant on leave, suggested to Devoy that the Fenians could blow up Woolwich Arsenal in England, but Devoy was against any attack on English soil. That February, O’Reilly and others were arrested. Devoy himself was arrested on the 22nd of February at Pillsworth’s public house. Some soldiers had begun to give up information to the authorities, panicked by the threat of mass execution. The charge against O’Reilly was having known of a mutiny and failing to give information about ‘said intended mutiny’ to his Commanding Officer. The first witness against him, Lance-Corporal Fitzgerald, reported a Fenian conversation between himself, O’Reilly and Devoy at Pillsworth’s pub. This was contradicted by the second witness, Private McDonald of the 10th Hussars, whose denials were so complete that he drew an acerbic comment from the president of the court: ‘public houses must be mortal slow places’. 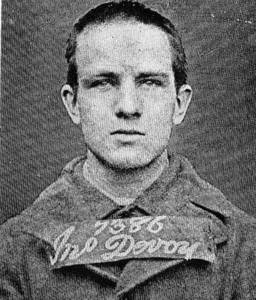 It would be nearly five years before Devoy was released from penal servitude on condition that he would leave Ireland. He had been a troublesome prisoner, organising prison strikes. Once free, he sailed for America with Jeremiah O’Donovan Rossa and three other pardoned men – Henry Mulleda, Charles Underwood O’Connell and John McClure. They became known as the Cuba Five, named after the ship they arrived in, and they received a rapturous welcome, including blazing torches and booming cannons. 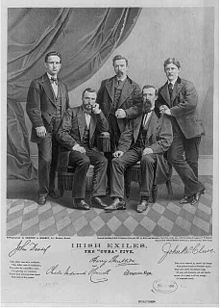 On the 28th of January 1871, the New York Irish People recorded that ‘the usual hand-shaking having taken place’, the former young Ireland and Superior Court Judge Richard O’Gorman welcomed the released prisoners, praising them for their devotion to Ireland. A public reception from the citizens of New York was held. However, in his later Recollections, Devoy commented that O’Gorman ‘took no part in Irish affairs since his arrival in the country’. The Fenian movement in New York was ripped apart by a party fight between the factions of O’Mahony and Roberts. Both groups wanted to claim the newly released Fenian exiles for themselves. When they argued in front of them, Devoy was repulsed. He asked ‘do they think that by dangling the dollars before us they can influence us?’ The O’Mahony wing organised a massive parade. Staying at the Metropolitan hotel, the Irish group ran up a $6,000 bill, although according to Devoy more of it was generated by the American Fenians than the Irish. A fund of $15,000, collected through subscription, was handed to the exiles. By May 1871, O’Reilly could tell that Devoy, by now aged twenty-nine, was growing tired of the factionalism. He himself had renounced Fenianism, and told Devoy that ‘I hate that infernal name – Fenianism. It has done us more harm than thoughtless men can see.’ He advised him that ‘the great mass of the Irish people have never belonged to any organisation for national revolution’. In fact, some non-Irish Democrat politicians were cynically playing for the Irish vote. Meanwhile, the North American Central Committee of the International Workmen’s Association, American communists, visited the Fenians and suggested that the Irish shouldn’t isolate themselves but should join against the common enemy. Devoy took a job as a journalist for the New York Herald and began trying to promote factional peace through an Irish Confederation. O’Reilly warned him that their differences had gone on for too long. 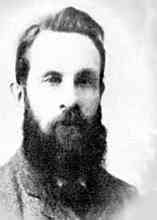 O’Donovan Rossa and Devoy joined the Clan na Gael, which had been founded by Jerome J. Collins in July 1867 - it still recognised the Irish Republican Brotherhood as the de facto government of Ireland. 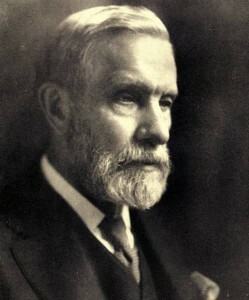 While Rossa would eventually be expelled for his belief in dynamiting, Devoy remained the Clan’s organiser and proponent for half a century. The two would only be reconciled as O’Donovan Rossa lay dying as an old man. There were still Irish rebels jailed in Britain and Australia, some of them men O’Reilly and Devoy had recruited. They sent letters appealing for help, and in May 1871 Martin Hogan wrote to Peter Curran reminding him of ‘being in the old house in Clare Lane with John Devoy and Captain McCafferty’, saying he was now ‘under sentence of life’s penal servitude in one of the darkest corners of the earth’. O’Reilly and Devoy published the letter, and Devoy spoke about the Australian prisoners at Clan na Gael conferences during 1872 and 1873. Thomas Fennell had already suggested to Devoy that a grain ship could be sent to Australia and used as an escape vehicle. In practice, funding was a problem. However, Devoy began looking for ways that a ship could be funded. It was suggested that a whaler might be paid to call into Western Australia and pick up the convicts. O’Reilly advised Devoy to speak with Captain Henry C. Hathaway. He had been third mate of the Gazelle, which rescued O’Reilly. Devoy left New York at dawn on the 29th January 1875. In Boston, he attended a meeting of the Celtic Club, a branch of the Clan na Gael. They warned him that O’Reilly and others had resigned from the Clan at the request of the Archbishop of Boston. Devoy spent the Monday talking to O’Reilly’s journalist Denis Cashman, and making notes on the Fremantle penal establishment. On Tuesday he took the train to New Bedford, and booked into the Parker House. Hathaway had become captain of the New Bedford police. He was enthusiastic about the project and recommended buying a vessel, fitting it out as a whaler and finding a trustworthy captain. They had to avoid the danger that the captain would stay out whaling rather than attempt the rescue. On the 3rd of February, Devoy wrote to New Haven businessman James Reynolds saying that a whaling ship could be bought, and could cover its expenses by whaling during the rescue voyage. He insisted it was necessary to buy the ship, but he would need $15,000, and the Clan subscription had only brought $7,000. Another complication was that many Clan branches wanted to send their own men to Australia, but O’Reilly thought that only one man was needed. Eventually, the money was found. Devoy arrived in New Bedford on March 9th with a young committee member named Goff, ready to make a bid on a ship. O’Reilly sent excuses not to appear in person. They were too late to bid, but Devoy declared ‘I will stay here until a ship is bought’. Hathaway introduced him to John T. Richardson, a shipowner who recommended the Catalpa. Devoy went ahead and bought it for $5,250 plus fees. As Devoy only had $4,900, Richardson advanced his own money on condition that Clan na Gael would repay him – which they did. The Catalpa was 202 tons, 90 feet long and 25 feet broad. The decking had to be extended and a forecastle built. Devoy was kept busy rushing between New Bedford and the branches, urging them to vote more money. Not everyone found him tactful. Richardson persuaded his son-in-law to captain the ship. Captain Hathaway was excited by the venture, referring to the ship as ‘the Horse’ in his letters and using racing metaphors. The total cost rose to $18,000. When the ship left America in April 1975, almost none of the crew knew of its mission. Dennis Duggan, a Fenian who had been a schoolmate of Devoy’s and was a veteran of 1867, was one who did. Devoy afterward explained that he didn’t go because ‘my disappearance would at once have indicated that I had gone to Australia and the consequent loose talk would almost certainly have ruined the chances of success’. He had to travel quickly between New York, Boston and New Bedford to be in place for the Catalpa’s putting to sea. On the 29th of April he described ‘seeing the ship forty miles out to sea, eating our dinner of hard tack, salt beef and cheese abroad’. The Catalpa was in fact used as a whaling vessel, and on 30th May assisted a brig in trouble. In July, a boat steerer died, leaving room for Tom Brennan, Goff’s chosen representative who was set to join the craft later. However, Devoy wanted to send journalist John J. Breslin, who had assisted in Stephen’s escape from jail in 1865. Breslin didn’t like the Clan’s quasi-Masonic initiation rituals, but Devoy persuaded him to join the organisation’s Hoboken Chapter. Breslin left America on the 13th of September with Tom Desmond, a Civil War veteran. The rescue from Australia was a success, and when the news reached Dublin, a procession of thousands of people marched, burning effigies of Disraeli and the Duke of Cambridge. As the freed prisoners sailed out from Australia, there was no liquor as Devoy considered it would be unwise for men who had not drunk in a decade to start drinking on board a ship. Devoy was in bed with flu in Philadelphia when he received a telegram from Dennis Rossa telling him the Catalpa was in New York. He was still coughing when we went to see the ‘Catalpan Six’ at Rossa’s hotel. People were cheering in the street and square, and celebrations took plae across America. However, the escaped men startled Devoy with a list of complaints about Breslin. He tried to mollify them but never extinguished ‘the feeling of positive hatred, not to speak of ingratitude, which they entertained for Breslin’. Despite this, Devoy would later give a job to John Breslin on the Irish Nation Weekly. The Catalpa was valued at $6,000 and made over to Richard, Anthony and Hathaway. Devoy was uneasy later to learn that the price they sold it for fell short of this, although they never complained to him. In 1878, Devoy sent a cable from New York to the Fenian journalist Charles Kickham, president of the supreme council of the IRB. Devoy proposed a deal between the American Clan na Gael and the new leader of the Irish Party in the House of Commons, Charles Stewart Parnell. The Clan and Fenians like Kickham would offer support to Parnell if he dropped Home Rule if favour of a more general self government. Parnell should also get involved in agitating on peasant ownership, Michael Davitt’s agenda. This attempt was called the ‘New Departure’, and was published in the New York Herald on 26th October 1878 before Davitt had been consulted. Davitt felt it was an imprudent move. Devoy, O’Reilly and Dr Joyce met at Joyce’s home in Boston, where Devoy was persuaded to concentrate on overthrowing landlordism. Bad weather had damaged the harvest, and a threat of famine and eviction hung over the people. To them, land reform and peasant propriety meant more than republicanism. O’Reilly urged Devoy to use the Clan and its funds to support the Land League rather than for armed struggle, believing it would enhance its reputation. In January 1879, Devoy and Davitt travelled to Paris to meet Kickham, but found he was against co-operating with members of the House of Commons. He conceded that Fenians could support land reform as individuals, which they were in fact doing in large numbers. The Irish Land War began with a rally in Irishtown in County Mayo on 20th April 1879. John Devoy continued to be active in the Clan for many decades after, making enemies but maintaining the profile of Clan na Gael, despite internal threats such as that from Alexander Sullivan and his ‘Triangle’ group. Before World War One, Devoy made approaches to the German ambassador in Washington, and met Roger Casement, who would be involved in a failed attempt to smuggle German weapons to Ireland. The arms carried by the Easter rebels were purchased with money from the Clan na Gael. Devoy was a tough leader, arguing tactics with Éamon de Valera when the young republican arrived in America in 1919 to secure funding. It is likely that his fraught relations with de Valera contributed to his 'air-brushing' from official Irish history in later years. Devoy returned to Ireland as an old man, and on one occasion was reunited with his former sweetheart, the former Elizabeth Kenny, in Naas. The Kildare Observer reported that ‘although very deaf and suffering from defective sight, Mr Devoy displayed remarkable recollection of persons and places in the vicinity of Naas’. He had never married. After John Devoy passed away in Atlantic City in 1928, aged 86, his body was taken for burial in the Glasnevin Cemetery in Dublin. A large memorial was set up outside his native Kill in County Kildare, and when an Army Apprentice School opened in October 1956 in the old British Army barracks in Naas, it was renamed Devoy Barracks.